Before the winter break, every division on campus celebrated the season of giving with community service activities. 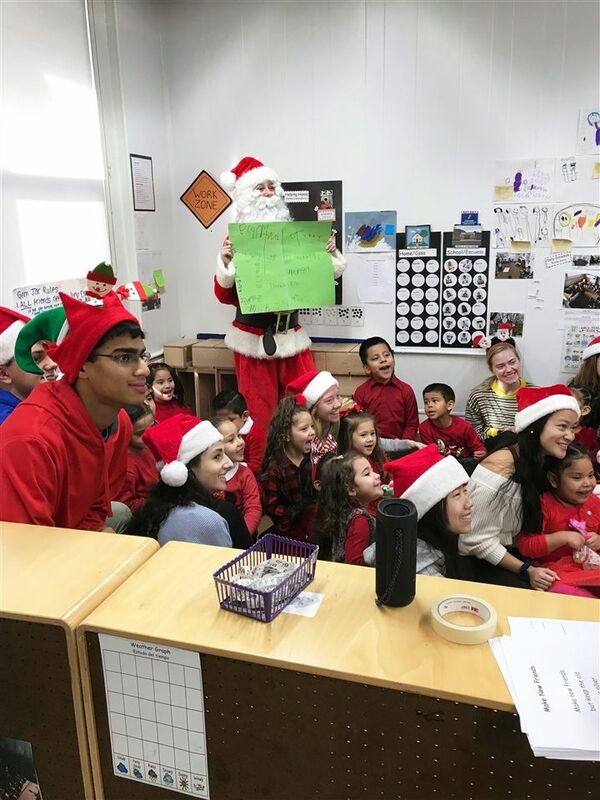 Those December initiatives marked the culmination of campus-wide efforts that began in October with Stone Soup Day and continued in November with Turkey Day. In addition, there were remarkable individual efforts, too numerous to be highlighted here. A very special thanks to everyone who supported these efforts; the spirit of the GSB community shines through in these acts of generosity. 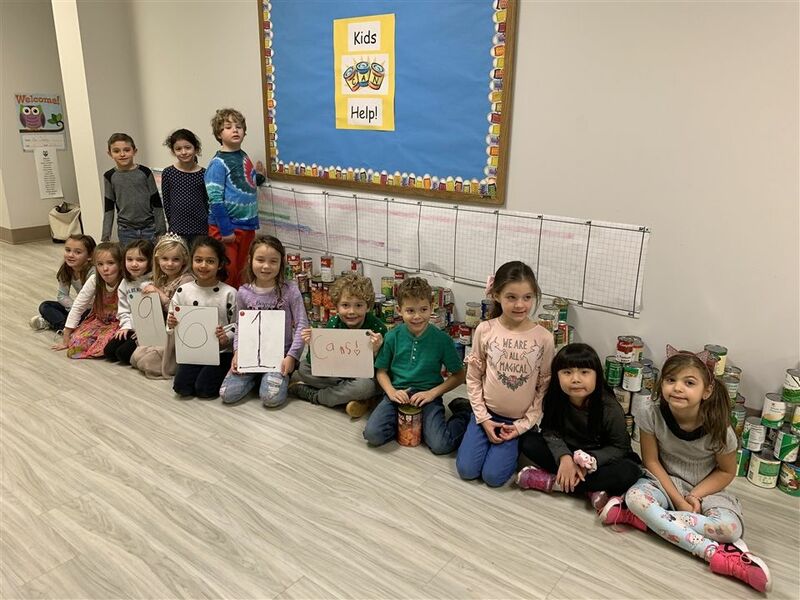 In the Lower School, first graders led their annual Kids-Can-Help can drive collection during the three weeks leading up to winter break. The youngsters collected 961 cans, which they delivered to the Hackettstown Food pantry. In addition to lending a hand, the service learning activity also reinforced math skills, as the students sorted and graphed the cans into groups of 10 and 100. 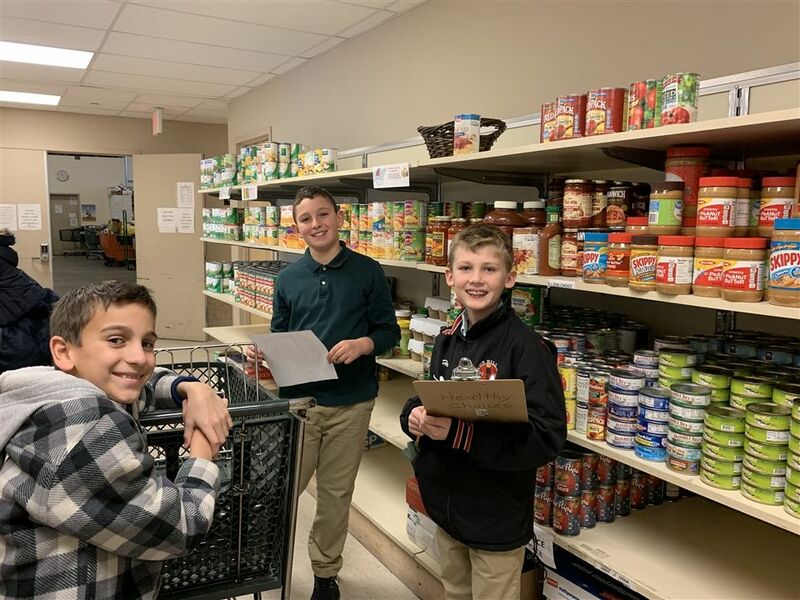 In the Middle School, fifth-graders visited the Interfaith Food Pantry in November to learn about who the pantry serves and how to shop on a budget. The students also had a chance to work in the warehouse, sorting donated items. Students in grades 7-8 held a drive for Operation Shoebox, collecting small items such as soap, shampoo, snacks and games, to ship to members of the military serving overseas or returning home. In addition to collecting the items, each student wrote a personal note to the soldiers. In December, the Middle School also held a poinsettia sale, raising nearly $2,000 to support the Veterans Greenhouse in Lyons, New Jersey. The fundraiser was spearheaded five years ago by current senior Will Henderlong when he was in the Middle School. Since that time, younger brother Patrick ’23 has taken over the effort, this year with the help of fellow eighth-grader Matt Mazzatta. Although the boys will be in the Upper School next year, they hope to continue the annual Middle School sale, an idea enthusiastically backed by Lower & Middle School Director Kyle Armstrong. In a recent Middle School bake sale organized by sixth-grader Saba Sharma, more than $1,000 in sales and donations were raised to support Isha Vidhya, an organization that provides quality education within to underdeveloped, rural communities in India. 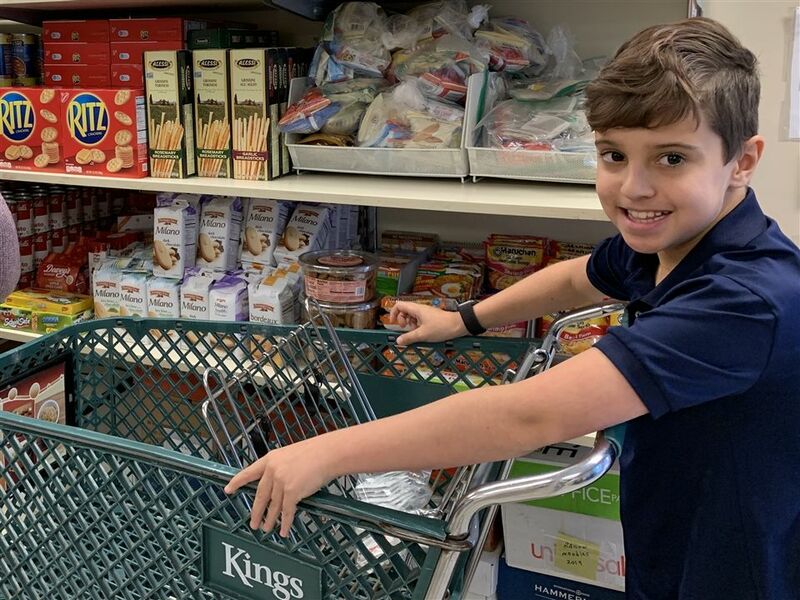 In addition, fifth-grader Cameron Wood raised more than $1,500 through a bake sale and donations in support of Water for South Sudan, an organization that works to provide clean and safe water to the people of South Sudan. 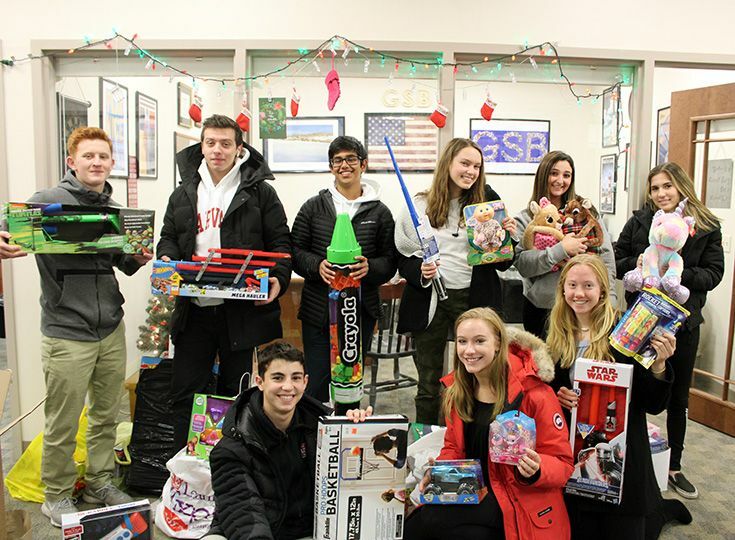 In addition to individual community service in the Upper School, the entire division took part in a toy drive before winter break. Each year, the toys are delivered to the annual Christmas party at El Centro Hispanoamericano, a community center in Plainfield, New Jersey, that was co-founded by retired GSB teacher John Ripton. This year’s drive was so successful--with nearly 600 donations--that El Centro could not use all of the toys. As a result, additional toys went to the Newark YMCA homeless shelter, an organization where Samantha Lowe ’20 and her family volunteer their time to each year during the winter holidays. 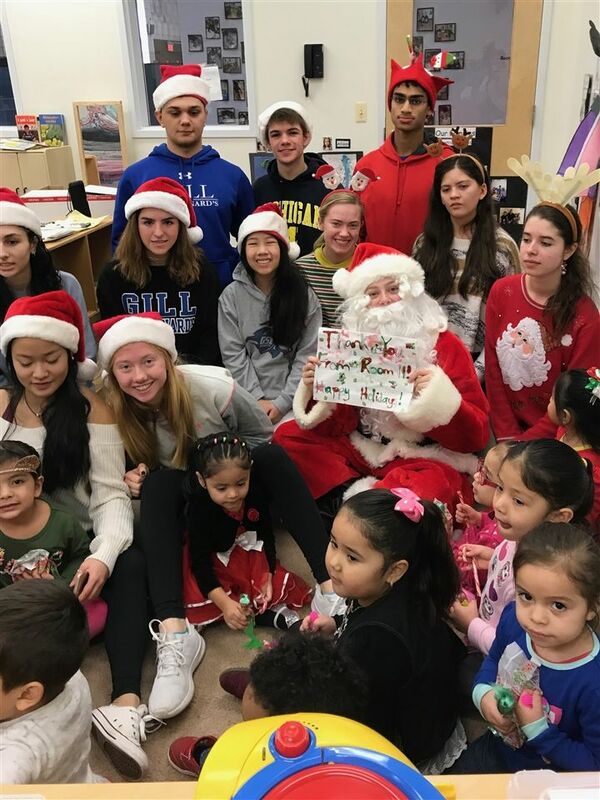 In the week leading up to winter break, the Spanish Honor Society also visited and donated toys to the children at Dover Head Start, a child development program created in 1965 as part of Lyndon Johnson's War on Poverty. The students wrapped the gifts and then delivered them dressed as Santa and his elves. The winter indoor track & field team also took time to remember our four-legged friends this holiday season. The team collected more than 60 items for pet shelters, including dog and cat food, toys, treats, kitty litter, bedding, and blankets.